Here you’ll find some of the most asked questions about a visit to the BWR. If you still can’t find what you’re looking for, please get in touch. It depends how far you’re travelling, whether you’re attending a special event or just coming along to enjoy a day out at the Railway. The most cost-effective way of travelling is with a Freedom of the Line ticket – which means you pay once, and travel all day! Click here to find details of our fares or take a look at our special events page to plan your next adventure. If you’re coming to travel on our every day service trains you don’t need to book in advance, simply come along and buy your ticket on the day of travel from our booking office at Bodmin General. If you’re planning to attend a special event, you most likely do need to book in advance, please check the details of the event you wish to attend. Do I have to ride a train to visit? No! During most days that we’re open you’re welcome to come and visit the station, have a look around and visit the Old Booking Hall café, the gift shop, and platform facilities free of charge. The exception to this would be if we’re holding a special event, in which case you’ll find details on the events page. Help! I don’t really understand your timetables! Don’t worry, lots of people find it difficult to begin with! First, look on the date of your visit on the calendar, and see what colour it is. Then go to that coloured timetable. On the printed version (in our leaflet and the image below) each train is shown by a vertical column, separated by a black line. The top of that column is where it starts (always at Bodmin General! ), and the bottom is what time it gets back to Bodmin General, with the times it visits the other stations in between. 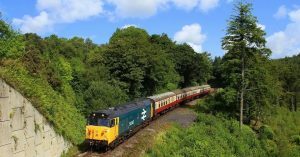 On the Timetables page of our website you can click on the day you wish to visit, and view each train individually, with the times starting at the top right (departing Bodmin General) and flowing from left to right, down a line each time as it stops at each station. Click earlier and later to see more trains throughout the day. If you’ve got any questions you can always get in touch, and we’ll talk you through it! Yes! 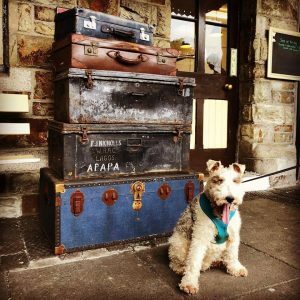 We’re proud to be one of the dog friendly attractions in Bodmin, Cornwall’s most dog-friendly town! You can find out more about dog tickets and paws-on-the-floor travelling here. Is the station accessible for wheelchair users? While Bodmin General is a wheelchair accessible station, unfortunately not all of our trains are, due to their construction in the 1950’s and traditional narrow doors. There is lots of information on our Access page which might be useful to you, but it you can’t find what you’re looking for, please get in touch. Yes! We have the Old Booking Hall Café at Bodmin General, and the Signalbox Café at Bodmin parkway. You can find out more about our cafés, gift shop and other on site facilities below.